I think it is a shame that the cherry is so often the shadow of other summer fruit. Puddings abound using strawberries, raspberries and blueberries but inexplicably the cherry is less popular. It’s a shame as cherries are delicious, beautiful and adaptable. I have fond memories of cherry stone spitting contests from when I was a child, and can quite happily eat a large bag of cherries when they are in season. 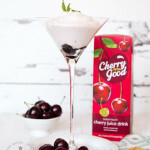 I’ve used a glug of the delicious, both sweet and tart Cherry Good; a cherry juice drink made with Montmorency cherries, in a simple syllabub, which takes just 5 minutes to throw together. To be sure to impress, pile it into a martini glass to serve. 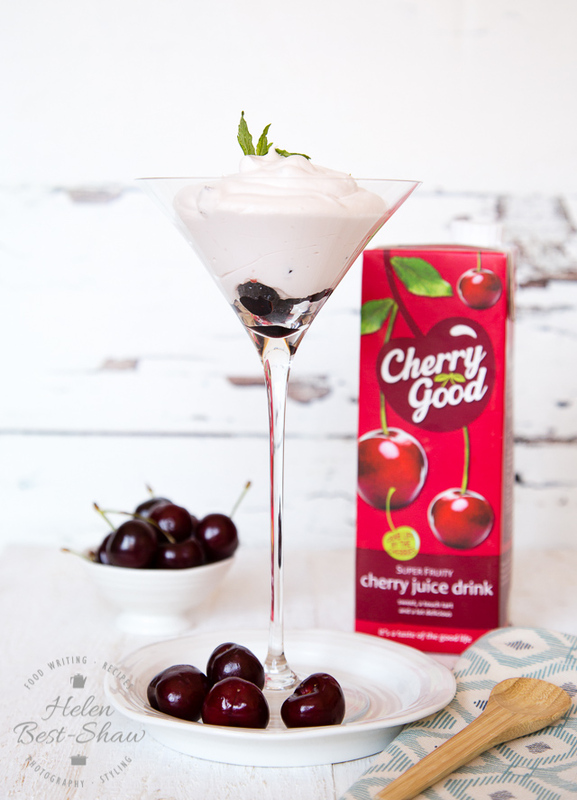 If you try this Recipe: Easy Cherry Syllabub please tag #FussFreeFlavours on Instagram or Twitter. It is amazing for me when for me when you make one of my recipes and I really do love to see them. You can also share it on my Facebook page. Please pin this recipe to Pinterest too! Thanks for reading Fuss Free Flavours! 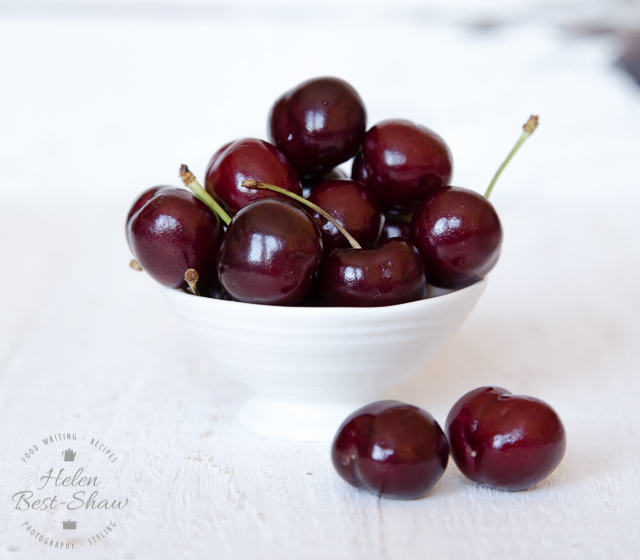 Place the dried cherries and 40ml of the cherry juice in a bowl and allow to soak overnight until the cherries are plump. Drain any remaining juice off and make up to 60ml with more cherry juice. Place the cream and icing sugar into a large bowl, and whip with an electric mixer until the cream holds a soft peak. Slowly add the cherry juice and Kirsch (if using) until the mixture has thickened, but is still floppy. Place a few of the soaked dried cherries at the bottom of 4 serving glasses, cut the rest into quarters and fold into the syllabub. Divide the mixture between the serving glasses and chill in the fridge for up to 4 hours before serving.